A waterfall in lush greenery. hd00:10HD - A pretty waterfall in a lush setting (loop). sd00:10NTSC - A pretty waterfall in a lush setting (loop). sd00:10PAL - A pretty waterfall in a lush setting (loop). hd00:26A pretty waterfall in a lush setting. 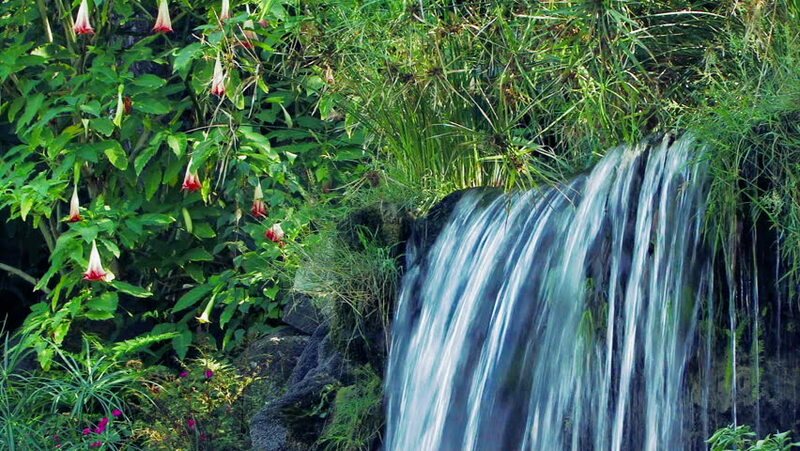 hd00:09Waterfall background,Greenery nature landscape,Waterfall in green nature forest,Close up angle.